Better With A Book: Build-A-Books in Chick-Fil-A Kids meals! Build-A-Books in Chick-Fil-A Kids meals! Chick-fil-a is one of our favorite places to eat! It's now more of a favorite for the kids and myself fbecause of the Klutz Build-a-Books featured in the kids meals while supplies last. 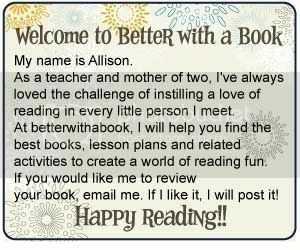 I can't think of a better way to foster a love of books, than making your own! Last week, we got our first book, Me By Me. There are pages and pages waiting to be filled with information and drawings created by our children. The Klutz Build-a-Books have a sturdy, plastic binding and are filled with stickers and cut-outs to add to your creativity. Better yet, you can visit the web sight (www.chick-fil-a.com) and download more creative pages to add to the easily opened bindings. Here's Brynn with her first page of Me By Me. She's so proud. We can't wait to get back to Chick-Fil-A to see which book we get next!